The appearance of dark circles under the eyes is a common concern. Why do these circles appear? The layer of skin under the eye is very thin—about the thickness of an egg membrane—so thin that even healthy-looking, tiny capillary blood vessels can be visible. Dark circles can be caused by sleep deprivation, stress, eye strain, dehydrated skin or dry eyes. That said, there are different types and causes of dark circles. Circles can appear blue, brown or black. 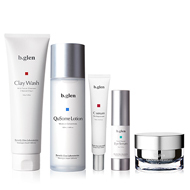 For brighter, healthier-looking skin in this area, add targeted treatments to your daily regimen. The delicate area around the eyes requires more attention. 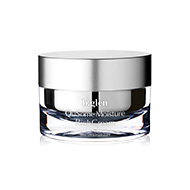 Neglecting this important area can cause premature lines and wrinkles as well as dryness. 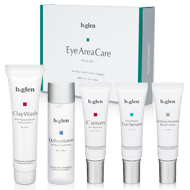 Using targeted and gentle skincare treatments, formulated specifically for the eye area, is crucial. This will keep the area nourished, hydrated, brighter and give it an overall healthier look. Using eye care products with Broad Spectrum SPF is key to protect the area from further UV exposure and sun damage. Look like you've turned back the clock with the benefits of targeted eye care. The eye area is the most delicate and the most vulnerable to the signs of aging. The targeted products in our Eye Area Care Trial Set, including our newest eye serum, provides superior benefits within a daily and comprehensive anti-aging care regimen. Follow this daily skincare regimen, in the AM and PM, for healthier-looking skin. 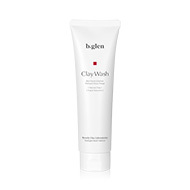 Clay based, non-foaming wash that gently, yet thoroughly cleanses as it washes away dirt and other impurities, while leaving skin in this area hydrating and healthier-looking. Gently add moisturizing toner to face and outer eye area, preparing skin for additional treatment products. Target with rejuvenating essence, formulated with Vitamin C. Promote the skin’s turnover, restoring balance between new and mature skin cells. 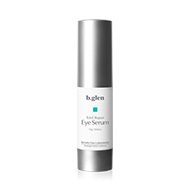 This concentrated serum helps diminish the appearance of damage by hydrating, addressing firmness and restoring a youthful appearance to your eyes. Luxurious cream, formulated with our unique Age Recover Complex (TM?) to provide skin support and protection by returning moisture and suppleness. Turn Back the Clock. Our targeted collection for youthful aye area. Turn back the clock by targeting eye zone issues.